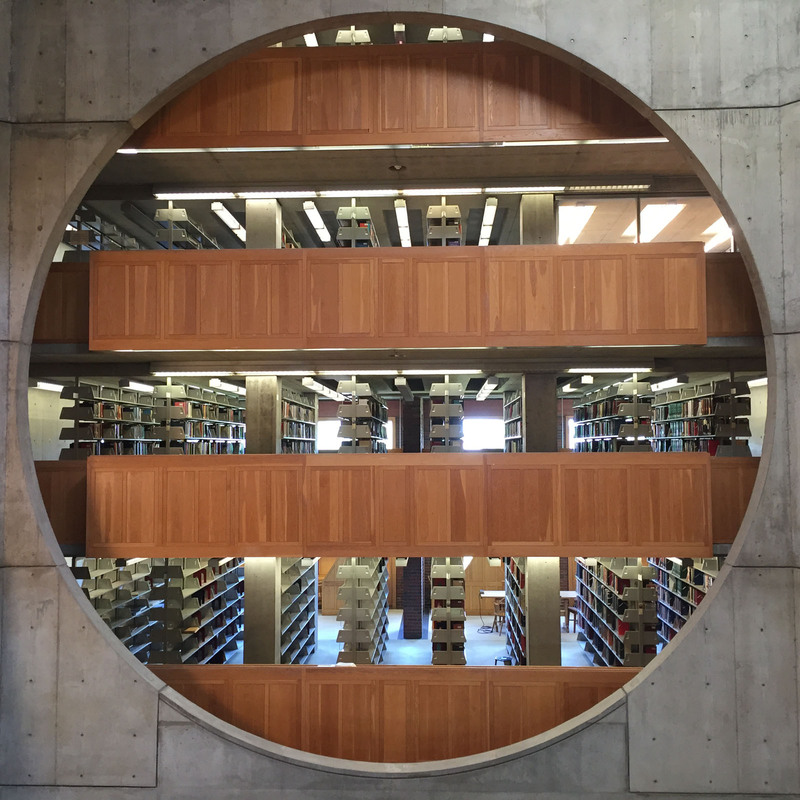 Louis I. Kahn built this masterpiece in Exeter, New Hampshire, between 1965 and 1971. Accessing through a low entrance lobby, the visitor enters an impressive seven-story atrium that is surrounded by bookshelves. More private reading areas are located along the facades. Concrete, brick, and wood are masterly combined.